Written Statement - On the same set of facts, the second application seeking amendment in the written statement is not permissible in law. Hanuman Prasad Mishra v. Addl. Dist. Judge Court No. 4 Lucknow & Ors. 1. Heard Sri Anil Tiwari, learned Senior Counsel assisted by Sri Apoorva Tewari, learned counsel for the petitioner and Sri Anurag Srivastava, learned counsel for respondent No.3. 2. The petitioner has filed the present writ petition under Article 227 of the Constitution of India for setting aside the order dated 14.03.2019 passed in Rent Appeal No.6 of 2014. 3. Brief fact of the case is that the petitioner's grand father late Sri Madan Manohar Mishra was inducted as tenant by M/S Jai Narayan Mishra Charitable and Educational Trust. The tenancy, thereafter, developed upon the father of the petitioner late Sri Dinesh Kumar Mishra. The respondent No.3 purchased the shop in question from Dr. R.N. Mishra, Dr. D.N. Mishra, Lt. Col. J. Mishra and Sri V.N. Mishra, who executed the sale deed alleging themselves to be trustees of the trust. The sale deed was registered on 25.01.2000. The father of the petitioner died and the tenancy of the shop in question devolved upon the petitioner. 4. The respondent No.3 filed an application for release of the shop in question under Section 21 of the Act No.13 of 1972, which was registered as P.A. Case No.67 of 2012; Chandra Mohan Purswami Vs. Hanuman Prasad Mishra. Vide order dated 24.12.2013, P.A. Case No.67 of 2012 was allowed by the prescribed authority and the petitioner was directed to hand overthe vacant possession of the shop in question within 60 days from the date of judgment. 5. The respondent No.3 filed P.A. Case No.24 of 2014 for execution of judgment dated 24.12.2013. The petitioner filed Rent Appeal No.6 of 2014 challenging the judgment dated 24.12.2013, wherein an order was passed on 17.02.2014 and the appeal was admitted and the judgment impugned in the appeal was stayed. 6. The petitioner filed an application on 21.11.2014, which was numbered as Paper No.A-28, whereby certain amendment was sought in the written statement seeking to assail the title of the respondent No.3, inter alia, on the ground that the shop in question was put in trust for the benefit of an educational institution Jai Narayan Post Graduate College and the shop could not be alienated by the trust without permission of the Director, Department of Education. 7. The amendment application Paper No.A-28 for amendment of the written statement was rejected vide order dated 29.10.2015 on the ground that the petitioner has admitted the respondent No.3 as landlord in the original written statement. The said admission could not be withdrawn by means of an amendment. 8. Rent Appeal No.6 of 2015 was dismissed vide order dated 16.11.2015 for want of prosecution. An application for restoration of the rent appeal No.6 of 2015 was filed, which was registered as Miscellaneous Case No.720 of 2015. During pendency of the restoration application, the respondent No.3 started pursuing the execution of the judgment of the prescribed authority dated 24.12.2013. 9. The petitioner filed Writ Petition No.7285 (MS) of 2015 seeking expeditious disposal of the Miscellaneous Case No.720 of 2015, which was disposed of with a liberty to the petitioner to move an application for expeditious disposal of the restoration application before the appellate Court with a direction to dispose of the application on or before 15.12.2015. The Miscellaneous Case No.720 of 2015 was allowed and the rent appeal No.6 of2015 was restored to its original number vide order dated 10.12.2015. 10. The petitioner moved an application bearing No.C-57 for recall of the order dated 29.10.2015, which was rejected vide order dated 14.05.2018. 11. The petitioner moved another application in the rent appeal No.6 of 2014 accompanied with treasury challan seeking to deposit advance rent for the month of August, 2018 to December, 2018 as well as an application dated 13.12.2018 presenting the challan for the period January, 2019 to April, 2019. 12. On 13.12.2018, the appellate Court observed that the challan filed on 04.07.2018 had been prepared in the name of predecessor Court and directed the petitioner to file a fresh challan. The petitioner immediately filed another application presenting fresh treasury challan in the name of Additional District Judge, Court No.4. 13. The appellate Court passed the challan for the period August, 2018 to December, 2018 and January, 2019 to April, 2019, which was allowed vide order dated 13.12.2018 and in pursuance thereof, the petitioner deposited the rent for the period August, 2018 to April, 2019. 14. The respondent No.3 filed an application in P.A. Execution Case No.25 of 2014 for issuance of eviction order / writ of possession on the ground of delayed deposit of rent. 15. The petitioner in order to obviate any unnecessary conclusion filed an application duly supported by affidavit in Rent Appeal No.6 of 2014 seeking permission to deposit the rent for the period August, 2018 to December, 2019 again in furtherance to challan dated 04.07.2018. 16. The appellate Court passed an order on 26.02.2019 declining the permission to deposit the rent for the aforesaid period. The order dated 26.02.2019 was challenged in Writ Petition No.6175 (RC) of 2019, wherein it was ordered that no execution shall proceed on the basis of order dated 26.02.2019. The said petition is pending consideration before this Court. 17. The petitioner moved another amendment application bearing Paper No.C-94 seeking amendment in the written statement contending that the sale deed dated 21.08.1999 registered on 25.01.2000 was executed by the alleged trustees, who had never been inducted as trustees of the trust in any manner. The application - Paper No.C-94 has been rejected vide order dated 14.03.2019, which has been assailed in the present writ petition. 18. Assailing the impugned order dated 14.03.2019, submission of learned Senior Counsel for the petitioner is that the appellate Court has rejected the amendment application of the petitioner on the premise that the similar amendment application bearing Paper No.A-28 has been rejected vide order dated 29.10.2015 and since the petitioner has not challenged the order dated 29.10.2015, the application bearing Paper No.C-94 could not be allowed. 19. Thus, submission of learned Senior Counsel is that the order is patently perverse and factually incorrect as Application No.A-28 and C-94 were made in different context as the facts giving rise to the application C-94 came into knowledge of the petitioner on 20.01.2019 itself. Therefore, his submission is that the petitioner has right to clarify the admission made in the written statement and to correct the same. 20. He next submitted that the appellate Court has completely misdirected in not considering the application for amendment independently in the light of the averments made therein and ignoring the settled principles governing grant of permission to amend a written statement. 21. He further submitted that the appellate Court has failed to appreciate that the petitioner has right to challenge the derivative title on account of lack of knowledge or misrepresentation by one of the parties can always be explained by way of amendment. 22. He next submitted that the appellate Court would have allowed the application by awarding cost upon the petitioner in view of the provisions of Code of Civil Procedure taking into consideration that release of the shop in question are not bonafideand the respondent No.3 is making a brazen attempt to illegally usurp the property belonging to a public charitable trust. i) Subhash Chandra Vs. Mohammad Sharif and others; (1990) 1 Supreme Court Cases 252, paragraph No.7. ii) Basavan Jaggu Dhobi Vs. Sukhnandan Ramdas Chaudhary; 1995 Supp (3) Supreme Court Cases 179, paragraph No.3. iii) Sushil Kumar Jain Vs. Manoj Kumar and another; (2009) 14 Supreme Court Cases 38, paragraph Nos.12, 13, 14, 15 and 16.
iv) V.M. Salim Vs. Fathima Muhammed and others; (2011) 15 Supreme Court Cases 756, paragraph No.9. 24. On the other hand, learned counsel for respondent No.3 made statement that he does not want to file counter affidavit and agreed that matter may be decided at this stage. 25. Learned counsel for respondent No.3 submitted that the second amendment application on the same set of facts and grounds is not permissible in law and the same has rightly been rejected by the rent appeallate Court. In support of his submission, he placed reliance upon a judgment in the case of Indrajeet Gulati (Smt.) Vs. Civil Judge (Senior Division), Mohanlal Ganj/Prescribed Authority, Lucknow and others; 2007 (3) ARC 682, paragraph No.7. 26. He further submitted that the petitioner on inspection of sale deed in the office of Sub Registrar has filed the written statement and admitted that the respondent No.3 is the landlord and deposited the rent in his favour. Therefore, he can not turn around from the statement made in the written statement. At best, he can explain the factum of statement made in the written statement but he can not omit or correct the statement already made in the written statement. In this regard, he placed reliance upon a judgment of Hon'ble Supreme Court in the case of RamNiranjan Kajaria Vs. Sheo Prakash Kajaria and others; (2015) 10 Supreme Court Cases 203, paragraph Nos.20 to 29. 27. He also placed reliance upon another judgment in the case of The State of Bihar and others Vs. Modern Tent House and another; in Civil Appeal No.3845 of 2008 decided on 16.08.2017, paragraph No.7 and in the case of Sheelu Devi Vs. Utara Devi and others; 2017 (3) ARC 728, paragraph Nos.8, 9 and 10. 28. Having heard the rival contentions advanced by learned counsel for the parties, I perused the material on record and the law reports cited by learned counsel for the parties. 29. On perusal of the written statement in paragraph No.1, it has been admitted that the respondent No.3 is the landlord of the shop in dispute. The petitioner moved an application Paper No.A- 28 on the ground that the trust is running Jay Narayan Post Graduate College and the property of the trust cannot be alienated by the trust without permission of the Director, Department of Education. Meaning thereby, there was a challenge to the title of the landlord in moving the application for release of the shop under Section 21 of the Act No.13 of 1972. The application was rejected on the premises that once in the written statement the petitioner has admitted the factum of landlord of the respondent No.3, then the application for omission of the statement made in the written statement cannot be permitted to be made. The application was rejected vide order dated 29.10.2015 on the ground that the written statement containing admission cannot be withdrawn by means of an amendment and the recall application filed for recall of the order passed on the amendment application has also been rejected vide order dated 15.07.2016, which was not assailed in appropriate proceeding before any forum. 30. Now, the second amendment application has been moved by the petitioner, which was numbered as Paper No.C-94, whereby amendment was sought on the basis of perusal of trust deed on 20.01.2019, wherein it was alleged that the persons, who have executed the sale deed in favour of the respondent No.3 are not the trustees of the trust. Therefore, permission be accorded tomake amendment in the written statement admitting the factum of landlord to the respondent No.3. 31. The appellate Court has rejected the application on the ground that in the application A-28 in paragraph No.1 almost the same statement of fact has been made, as has been made in application Paper No.C-94. 32. To resolve the controversy, I perused the first amendment application Paper No.A-28 enclosed as Annexure No.8, contained at page Nos.114 to 123 to the writ petition as well as the second amendment application Paper No.C-94 enclosed as Annexure No.15, contained at page Nos.159 to 227 to the writ petition. 33. The submission of learned counsel for the petitioner is that the first amendment application was moved on the ground that without taking prior permission from the Director of Education, the property of the trust was sell out, therefore, the sale deed is void ab initio. 34. In support of submissions, learned Senior Counsel placed reliance upon a judgment in the case of Subhash Chandra (Supra. In the said case, the appeal was directed against the decree of Madhya Pradesh High Court for eviction of the appellant from the house after holding him to be the respondent's tenant. The appellant denied the title of the plaintiffs and their case that he has been in possession of the property as their tenant. The trial Court accepted the plaintiff's case and passed a decree in their favour, which was set aside on appeal by the first appellate Court. The decision was reversed by the High Court in second appeal by the impugned judgment. "7. It is true that the doctrine of estoppel ordinarily applies where the tenant has been let into possession by the plaintiff. Where the landlord has not himself inducted the tenant in the disputed property and his right, are founded on a derivative title, for example, as an assignee, donee, vendee, heir, etc., the position is a little different. A tenant already in possession can challenge the plaintiff's claim of derivative title showing that the real owner is somebody else, but this is subject to the rule enunciated by s. 116 of the Evidence Act. The section does not permit the tenant, during the continuance of the tenancy, to deny that his landlord had at the beginning of the tenancy a title to the property. The rule is not confined in its application to cases where the original landlord brings an action for eviction. A transferee from such a landlord also can claim the benefit, but that will be limited to the question of the title of the original landlord at the time when the tenant was let in. So far claim of having derived a good title from the original landlord is concerned, the same does not come under the protection of the doctrine of estoppel, and is vulnerable to a challenge. The tenant is entitled to show that the plaintiff has not as a matter of fact secured a transfer from the original landlord or that the alleged transfer is ineffective for some other valid reason, which renders the transfer to be non-existent in the eye of law. By way of an illustration one mayrefer to a case where the original landlord had the fight of possession and was, therefore, entitled to induct a tenant in the property but did not have any power of disposition. the tenant in such a case can attack the derivative title of the transferee- plaintiff but not on the ground that the transferor-landlord who had initially inducted him in possession did not have the right to do so. Further since the impediment in the way of a tenant to challenge the right of the landlord is confined to the stage when the tenancy commenced, he is forbidden to plead that subsequently the landlord lost this right. These exceptions, however, do not relieve the tenant of his duty to respect the title of the original landlord at the time of the begin- ning of the tenancy." "3. As regards the first contention, we are afraid that the courts below have gone wrong in holding that it is not open to the defendant to amend his written statement under Order 6 Rule 17 CPC by taking a contrary stand than what was stated originally in the written statement. This is opposed to the settled law. It is open to a defendant to take even contrary stands or contradictory stands, thereby the cause of action is not in any manner affected. That will apply only to a case of the plaint being amended so as to introduce a new cause of action. Be that so." "12. In our view, having considered the averments made in the application for amendment of the written statement, it cannot be said that in fact neither any admission was made by the appellant in his original written statement nor the appellant had sought to withdraw such admission made by him in his written statement. 9. That apart, a careful reading of the application for amendment of the written statement, we are of the view that the appellant seeks to only elaborate and clarify the earlier inadvertence and confusion made in his written statement. Even assuming that there was admission made by the appellant in his originalwritten statement, then also, such admission can be explained by amendment of his written statement even by taking inconsistent pleas or substituting or altering his defence. 13. At this stage, we may remind ourselves that law is now well settled that an amendment of a plaint and amendment of a written statement are not necessarily governed by exactly the same principle. "15. ......Adding a new ground of defence or substituting or altering a defence does not raise the same problem as adding, altering, substituting a new cause of action." (See Baldev Singh v. Manohar Singh, SCC p. 504, para 15. Similar view has also been expressed in Usha Balashaheb Swami & Ors. Vs. Kiran Appaso Swami & Ors. AIR 2007 SC 1663. "the Courts would be more liberal in allowing than that of a plaint as the question of prejudice would be far less in the former than in the latter and addition of a new ground of defence or substituting or altering a defence or taking inconsistent pleas in the written statement can also be allowed." "3. .... An admission made by a party may be withdrawn or may be explained away. Therefore, it cannot be said that by amendment, an admission of fact cannot be withdrawn. "16. In view of our discussions made hereinabove and applying the principles laid down by this court in the aforesaid decisions, we are therefore of the view that the High Court as well as the learned Rent Controller had acted illegally and with material irregularity in the exercise of its jurisdiction in not allowing the application for amendment of the written statement of the appellant. " "Where a tenant, with full knowledge of the facts, either expressly in writing, or impliedly by acts, such as the payment of rent, attorns tenant to a person other than his original landllord or one whois claiming the estate or interest of such original landlord by assignment, succession, or otherwise, he is ordinarily estopped from questioning the title of the person to whom he has so attorned. But, here too, it is open to the party sought to be estopped to explain away the attornment, and so escape the estoppel to which he would otherwise be subject, by proof that, when he so attorned, he was labouring under mistake or ignorance as to material facts affecting the title of the person to whom he attorned, particularly if such error or ignorance was due to the fraud of that person." "In an eviction suit between the landlord and the tenant the motive behind execution of the document conferring title on the landlord cannot be allowed to be gone into so long as the document has been executed and registered in accordance with law and the transaction is otherwise legal." In this case, there was no pleading or proof by tenants to bring themselves within the exception to the general principle of estoppel." 39. On perusal of the law reports referred herein above, it is well established that the amendment in the written statement is permitted to the extent to elaborate and clarify the earlier inadvertence and confusion made in the written statement. The Hon'ble Supreme Court has held that the law is well settled that an amendment of a plaint and amendment of a written statement are not necessarily governed exactly by the same principles. Adding a new ground of defense or substituting or altering a defense does not raise the same problem as adding, altering or substituting a new cause of action. It has further been held that courts would be more liberal in allowing than that of a plaint as the question of prejudice would be far less in the former than in the latter and addition of a new ground of defence or substitutingor altering a defence or taking inconsistent pleas in the written statement can also be allowed. 40. The similar view was followed in the case of V.M. Salim (Supra) by Hon'ble Supreme Court that in case a document will be sham, if it ostensibly creates rights / obligations, which are intended to be acted upon by the parties to the deed and is executed in pursuance of a secret arrangement with the ulterior motive of securing an undisclosed advantage to the owner. It involves collusion between the parties to the document to achieve an illegal objective. Therefore, if anyone wants to establish that a sale transaction was sham and collusive, he ought to plead and prove a secret arrangement between the vendor and the purchaser. that the sale was nominal and no right, title or interest passed or intended to be passed to the purchaser under the sale and the deed was executed with the sole intention of securing the eviction of the tenant or securing some other benefit to the vendor. Where direction evidence of such secret arrangement is not available, it may be possible to establish the sham nature of a document by some clinching circumstantial evidence. "8. The sole question which is to be considered in the present case at this stage is to the effect that once the application is moved by respondent No. 1/Smt. Uttaradevi in an election petition under Section 12(3) of the Act and the same was rejected, the second application on the same cause of action is maintainable or not. 9. Answer to the said question finds place in the judgment given by this Court in the case of Laxmi Devi Vs. Chandramani Devi, AIR 1971 Allahabad 506, wherein this Court held that once the appreciation for amendment has been rejected, the second application for the said purpose is not maintainable. 10. In the instant case, from the perusal of the material on record, it is clearly apparent that first application moved by the petitioner for amendment has already been rejected by order dated 19.08.2016 and the same has not been challenged,so the second application on the same cause of action moved on behalf of respondent No. 1/Smt. Uttaradevi is not maintainable." "7. In the instance case, there is no dispute between the landlord inter-se, the dispute is between some of the joint tenants who disputed that the respondent No.2 is not the landlord whereas one of them has admitted unequivocally that the respondent No.2 is the landlord, therefore, it is the tenants who have different claims and the proceedings are being stalled on one or the other pretext. The dispute between the two joint tenants can not be a ground to stall proceedings initiated by the landlord and therefore, after taking into consideration the ratio decided in the case of Ram Nath Mishra (supra), there is no illegality while the Prescribed Authority proceeded to determine the release application under Section 21 of the Act. So far the legal duty to determine the release application under Section 21 of the Act. So far the legal duty to determined the status of the person making application under Section 21 of the Act is concerned, that has already been done by means of the impugned judgment. I do not find any illegality whatsoever in the impugned judgment." 21. In the case before us, we are afraid, many of the factors referred to above, have not been satisfied. It is significant to note that Defendant Nos. 5 and 12, after moving an application for amendment withdrawing the admissions made in the written statement, have filed a substantive suit attacking the alleged relinquishment of their claim in the family property and we are informed that the trial is in progress. In that view of the matter, we do not propose to deal with the matter any further lest it should affect the outcome of the suit filed by Defendant Nos. 5 and 12 since the declaration sought in the suit filed in 2005 is to take away the basis of the said relinquishment of the claim in the suit property. However, as far as amendment is concerned, the attempt to wholly resile from the admission made after twenty five years, we are afraid, cannot be permitted. 23. We agree with the position in Nagindas Ramdas (supra) and as endorsed in Gautam Sarup (supra) that a categorical admission made in the pleadings cannot be permitted to be withdrawn by way of an amendment. To thatextent, the proposition of law that even an admission can be withdrawn, as held in Panchdeo Narain Srivastava (supra), does not reflect the correct legal position and it is overruled. 26. In the above circumstances, we do not intend to make the suit filed in the year 2005 otherwise infructuous. 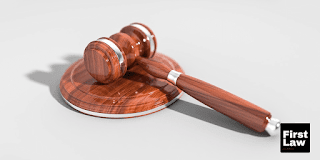 The application for amendment withdrawing the admissions made in the written statement on relinquishment of the claim to the suit property by Defendant Nos. 5 and 12 is rejected. However, we, in the facts and circumstances of the case, are of the view that Defendant Nos. 5 and 12 should be given an opportunity to explain/clarify the admissions made in the written statement. Accordingly, Defendant Nos. 5 and 12 are permitted to file an application within one month from today limiting their prayer only to the extent of explaining/clarifying the disputed admissions in the written statement which will be considered on its merits and in the light of the observations made herein above. 27. Though the learned Counsel for the appellant vehemently pressed for costs, we reluctantly refrain from passing any order in that regard. After all, it is a suit for partition of the family property. At any stage, the parties can have a change of heart and ignore the law or facts or other technicalities and reach an amicable settlement. 28. The appeals are partly allowed as above. The impugned Judgment will stand modified to the extent indicated herein above. 29. There shall be no order as to costs." "7. It is not in dispute that the suit filed by the respondents against the appellants out of which this appeal arises is still pending. It is also not in dispute that the evidence of the parties is not yet over. In other words, the trial in the suit is going on." 45. On perusal of the law reports submitted by the respective parties, it is established that the admission in the written statement or in making inconsistent statement of fact can be clarified by way of amendment. The amendment in the written statement is permitted to the extent to elaborate and clarify the earlier inadvertence and confusion made in the written statement. The Hon'ble Supreme Court has held that the law is well settled that an amendment of a plaint and amendment of a written statement are not necessarily governed exactly by the same principles. Adding a new ground of defense or substituting or altering a defense does not raise the same problem as adding, altering or substituting a new cause of action. It has further been held that courts would be more liberal in allowing than that of a plaint as the question of prejudice would be far less in the former than in the latter and addition of a new ground of defence or substituting or altering a defence or taking inconsistent pleas in the written statement can also be allowed. 46. On perusal of the first amendment application and the second amendment application moved by the petitioner seeking amendment in the written statement, it is apparently evident that both the applications were filed on the same set of facts before the rent appellate Court. 47. The first application Paper No.A-28 was rejected vide order dated 29.10.2015 and an application for recall of the order was moved, which has also been rejected. The order passed on the first application was not assailed before the competent forum, therefore, attained finality in the eyes of law. 48. Therefore, in the opinion of this Court, on the same set of facts, the second application seeking amendment in the written statement is not permissible in law. Therefore, the submission advanced by learned counsel for respondent No.3 has substance that second application on the same set of facts is not maintainable. 49. The ratio of the judgments relied upon by learned Senior Counsel for the petitioner is not disputed that if there is inconsistent statement of fact, that can be corrected by granting permission to make amendment in the written statement. Here, in the present case, the petitioner on the basis of perusal of trust deed, moved an amendment application for alteration / clarification / omission of certain facts from the written statement and the same was rejected and the recall application of the order was also rejected. Therefore, this Court has no hesitation to holdthat on the basis of same trust deed, the second application on the same set of facts is not maintainable in law. 50. On perusal of the order impugned dated 14.03.2019, it is evident on the face of it that the appellate Court while deciding the second application has recorded cogent reasons that the application has been moved on the same set of facts and grounds, which were made in the first amendment application Paper No.A- 28. 51. In view of the finding recorded by the appellate Court and on perusal of the over all material on record, no ground has been made out for grant of relief by this Court. 52. The writ petition lacks merit and is hereby dismissed. 53. It is, however, directed that the appellate Court shall decide the appeal after affording opportunity of hearing to the parties expeditiously from the date of production of a certified copy of this order. 54. It is further directed that the parties shall not seek frivolous adjournments in the matter before the Court below.